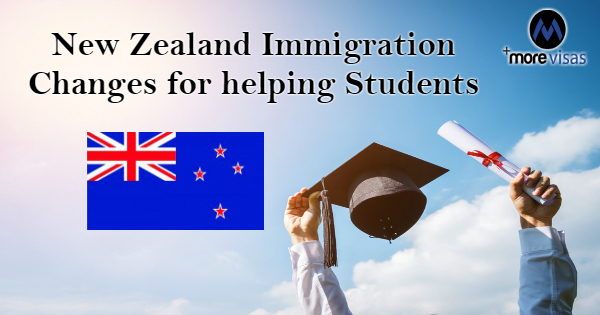 The NZ Government is making a few Changes to immigration settings for international students. These aim to attract global students who are studying at higher levels and are also taking high quality courses in areas of skill shortage which are below degree level. There is likelihood that these changes make the staying and working more difficult for students who study at lower levels in New Zealand. Iain Lees-Galloway, the Immigration Minister stated that by removing these visas, there will be reduction in the risk of exploitation of migrants. Additionally, it will protect the international reputation of New Zealand. As per the estimates from the Ministry of Business, Immigration and Employment, there will be a decline of between 1200 and 6000 in 2019 among the first-time New Zealand student visa holders. The impact on volumes of onshore student would be short lived, and the sector will adapt after these changes to immigration settings are put to force. Labor, NZ First and Greens professed the policies to decrease immigration to the country. These changes are a soft version of the consultation opened in June. The original proposal wanted a one year post-study visa after completing non-degree level 7 qualifications. After consultation, the students studying to attain registration with a professional or trade body get the entitlement for two years. The students studying outside Auckland are also included in it in case the study is over by 2022. A change also provides a breather for the regions. Moreover there is a need of transition time for the regional providers. Students studying in a sub-degree course outside Auckland will get the entitlement to a two-year New Zealand open work visa when they complete their academics by Dec 2021.